Oh those were the days. Before children. When I could sleep in on weekends, nap or read a book on a Sunday, journal or meditate in a quiet, tidy room with the right music playing, and do all the yoga, walking, Pilates, swimming, and general activity I wanted. I could eat a full meal, and a hot one at that, of things I had carefully chosen at the grocery store and then prepared at home, because I could. I could hit up the latest artist whose new album was out, I could travel with my husband when he went to somewhere interesting for a business trip, and oh yes, I could work uninterrupted, for as long as I needed, everyday, with just enough housework and management to do to consider it fun and exercise-inducing. Oh and one more thing, my husband and I could cook elaborate meals together and linger over a nice bottle of wine, walking the dog at our leisure in the evenings or one weekends. My self-talk could go something like this over a decade of having children…(and on no particular day of the week). “God help me stay sane. Help me patch my body and life back together after having this (1st, 2nd, 3rd) baby. Help me somehow manage the household and all the baby needs – the well checks and the sick days. Help me somehow get the house straight and kind of what passes for clean. And oh Lord, the laundry. Jeez-louise all the laundry. Help me get enough (or just some) sleep AND get quality time with my husband and kids. And help me remember to consider the rest of my extended family – reaching out to people on the birthdays, holidays, helping take care of the older family members and coordinate family visit time so no one is upset, remember my friend’s and family members birthdays in addition to all these people I made!, take a vacation at least once a decade, keep enough food in the house and meals planned to not embarrass myself (God children eat a LOT of food, especially three growing boys! ), get them up and off to school every morning, and have enough brain power and energy left over to exercise daily, walk the dog (oh, did I feed the dog this morning? ), and “lean in” to excel at work. All on a middle class income with no extra left over to just hire extra help. I dare say this is not just my life. It’s is the life of a typical American mother. And it is not easy. To all the mothers out there, I hear you. I get it. It’s why as one of those American mothers, I am really not apt to listen to the scores of mindfulness and yoga “experts” out there who, as well meaning as they are, try to speak to how to manage stress or manage time – and yet have no children. I need a veteran to take that kind of advice from. I want to hear how a mom with multiple children and more than a fulltime job stays mindful, fit, and sane. Give me someone like that, and I’ll hang on every word she says. We have way too many “experts” out there in self-care who frankly, ironically, have so much time on their hands that they use it to tell all of us how to go about our day in self-care-induced bliss. Here’s a timely example of a typical mom’s holiday . The Christmas Break. It’s Christmas, or whatever holiday you cherish and celebrate, and the kids are out of school. Everyone is psyched for the holiday, for the break, and wish you well on your “vacation” time off during this time. Cue the laughter. You’re a mom – you still have a job, even during Holidays, summer vacations, and random snow or for us, hurricane days. There are no days off as a mom. So again, to all you working moms out there. I get it. I hear you. I get you. In the meantime, I will share what I do as a working mother of three. Boys. Personally I think working moms of three anything – deserves a special place in Heaven. And those of you with more than three children – Bless You. You deserve Sainthood. But I’m not snarking on those of you with less than 3 children – all mothers are working their tails off everyday, making the greatest sacrifice on earth – raising and nurturing the next responsible generation. And many times you are doing it on your own or with little help. I applaud you. I admire you. I salute you. You are the real gurus out there. I’m your biggest fan. Now when I say this is what I do for self-care, I’m not being preachy or saying “Hey ya’ll, look at me! I’m perfect over here and I have it all figured out.” No way. I don’t have it all figured out, nor do I “Do it all,” as many folks ask me all the time. “How do you do it all?”, someone will ask. Well the simple answer is, I don’t. As a working mother I have to make hard decisions about time and household management. I have to decide what is realistic and doable, and most important, sustainable. For example, my kids don’t get to play all the sports, they aren’t in music lessons with regimented practice time every day, they aren’t in boy scouts and a slew of clubs, they aren’t scheduled up for play dates and never were. As a working mother, I have to compromise. And you know what, I think my kids are doing just fine. Sure, there are a few things we don’t compromise about – like family dinners together and cooking healthy food as a family. I also have to compromise on what I can do. For example, I don’t have a slew of girlfriends and do “girls night out.” To begin with I think the whole concept of “girls night out” is a bit juvenile, especially when we still suffer from inequality socially and in the workplace. Women deserve respect and equality, and I don’t think it helps the cause when we attach ourselves to nomenclature more suited for the pubescent and college-aged lot. I also don’t watch TV. Ever. I pick up a book instead, and we have family movie nights or I watch a movie or play music with my husband. I can’t “do it all,” I just have to be more judicious with my time, and determine what is most important, and follow through with those things. Now that I’ve established that I struggle with self-care just like every other mother in the world, here’s how I maintain my sanity, fitness of mind and body, and overall health and well-being. Perhaps in some way, this post will help, if nothing else to let you know as a mother and as a woman, you are doing alright. The kids are alright. You can do it, and you are enough. Give yourself permission to take care of yourself, and remember compromise is good, it can keep you from becoming kid-centric, and teach your children an invaluable lesson about earning privileges, instead of being handed whatever they want. The A.C. Days are the BEST days. I love my life. Yes, B.C. gave me freedom and the luxury of self-care whenever I wanted. But A.C. days have given my life fuller meaning and order, and taught me how to love in a deeper way than I ever thought possible. And, perhaps most importantly, the A.C. days have taught me more about resilience than anything else. And that, is the stuff of real joy, at least for me. Christmas and the Holidays can be the most joyous & stressful time of the year. Christmas a few years back, catching a silly moment in what can be a super high stakes activity, trying to capture a family portrait! ©2018. Ginger Garner. All rights reserved. Photo by Casey Futrell. Pick up a book and improve your health. I set an intention for the day. An intention is different than a goal (see below). The intentions I choose usually always serve to remind me that I am here on earth, not to be comfortable and find a life of ease, but to do as much good as I can. Yes, creature comforts are wonderful, but I don’t live to eat and play, I eat and work to live. There’s a difference – the first one is short-lived and often is a short-term gain, long-term loss situation. The second is a long-range, eternal goal, where I can dedicate myself to a cause that is bigger than just me. So an intention may be as simple as repeating a phrase to myself when I find myself anxious or worried about not meeting a goal, like, “I am enough.”, “Yes, you can.”, “You are strong enough.”, or “Just Be You.”. I set a goal for the day & live by the “Power of 3” rule. I set no more than 3 goals each day. I believe time management is intimately connected to your overall health and well-being. And quite honestly, my ability to manage time determines whether or not I have time in my day for self-care. The “power of 3” also helps me prioritize my day – and self-care is always, always scheduled first. For example, I choose no more than 3 major projects/goals for each day, like 1. Write Chapter 2 in book. 2. Pen new blog post first draft. 3. Edit photos from last event. When I follow the “rule of 3” I don’t overload my day and am more productive. I can also apply the same rule to planning vacation days or time off, especially if I’m trying to coordinate events, like a concert, visit to a museum, and dinner out, for example. I limit checking email. On average people can check their email 15 times a day, which leaves you less productive. In checking your email that often, you are answering others needs before you do your own work. Now if your job is to check email and that’s it, well then well done! But for most of us, that isn’t the case. I usually schedule it for after self-care in the morning and before I leave work for the day. On Mondays I spend more time sorting through the weekend inbox pile-up, but on other days I spend about 2 hours a day or less. I make sure to limit my work blocks to 90 minutes each. I take a short break in between each work block to meditate, to yoga, grab a meal, listen to music or practice music, to some household management, or just sit and be. I am far more productive when I do have a firm start and stops for work projects. I set boundaries, specifically so I can get in the “flow.” Harvard Business Review (HBR) & Forbes acknowledge “flow” is a real thing, and regularly cite the evidence to support it. Find Flow to Feel More Passionate about Your Work. A 2013 study found that executives who increase their flow time by as little as 20% can double productivity. Constant interruptions can destroy flow, especially if, like me, you have a creatively demanding job where you need to oversee and produce new thoughts and ideas on a consistent basis. Here are a few ways to help get find the flow. Here are a few ways I set boundaries: I use the “Power of 3” rule again. I schedule no more than 3 work blocks a day, or no more than 3 major “thinking” projects a day. That means I only tackle 3 projects that require a lot of heavy mental effort daily, and most of that happens in the morning and early afternoon. Ayurvedically, and in most cultures, the afternoon is reserved for lighter mental lifting, hence the term and meaning behind the siesta. Unless I have an evening event, I make myself available for my children getting home from school, to help with homework, start dinner, and generally do the evening family routine. When I instituted this change, I doubled my productivity. I worked less, but accomplished twice as much. I revere family time, especially the dinner hour. Now that doesn’t mean my family gets to eat dinner together every night, and it certainly doesn’t mean we set the full table in the eat-in dining room nightly. But it does mean my husband and I realize the enormous importance and formative foundation it gives our children to sit down with them in the evening, over dinner, and talk to them about their day. Researchers support that having dinner together as a family does more for children’s vocabulary that regular reading. Additionally children eat better and are more likely to do well in school. And as a mother, I can’t think of better way of spending quality time with my family than simply being home for dinner every night. It does my soul good. Read WaPo’s article on the importance of eating dinner together as a family. I choose purposeful work. I once heard a spiritual mentor of mine say, “Just because a plan is good plan doesn’t mean it’s the best plan for you.” I took those words to heart and live by them. I spent my 20’s and 30’s committing to things that were a good plan, but not the best plan. I made plenty of wrong turns, and had more than a few false starts, trying to decide exactly where I should focus my efforts. My early 30’s were a defining moment for me, which was around the same time that I had children. I don’t think that is a coincidence. For me, having children gave me permission to use my big, bold voice. The one I was born with but being born female you are always told to use in a certain way – quietly, meekly, pleasantly, and without causing waves. It took having children to embolden me enough to use that voice – because I was not standing up for just myself then, I was standing for my children. It’s funny and sad how I didn’t believe I was worthy enough to be heard, until I became a mother. I’ve always been dedicated to doing work that serves a Greater Good, something more than myself. But unfortunately it took children to help me believe I was worthy of standing up for myself and my core values. So if you are out there as a woman or mother, trust yourself. Believe in yourself. Don’t be afraid to make waves, to stand up and use your big voice. It will be the best thing you ever do.It won’t be easy, in fact it will be harder to use that voice. But the more you do, the easier it will become. I truly believe that when you use that God-given voice, you will fully recognize your talents and abilities – and what’s more than that, the world will too. To put this into business perspective, here’s an article from Forbes on The Power of Purpose-Driven. I move daily. Exercise is perhaps your biggest anti-aging weapon. It is neuroprotective & anti-inflammatory. And when it’s coupled with mindfulness, it packs a double whammy of health benefits. Typically I do Yoga or Pilates mixed with walking the dog and the occasional interpretive, spontaneous dance party with family, friends, and many times, by myself. But you have to figure out what kind of exercise works for and interests you. What kind of movement brings you joy? Seek that out. Don’t subscribe to a program or a plan if your heart isn’t in it. You have to find something you can stick to, and that is also sustainable. People are often shocked to find out I’ve studied yoga for decades but have only been to a handful of group yoga classes. The answer to why is simple for me: Yoga is a meditative, mindful, solitary pursuit to better one’s self. And personal growth usually doesn’t happen in a group. It happens in solitude, doing the hard work of introspection and self-reflection. There is another reason why I don’t love group classes – they can’t speak to or address my individual needs as a mother of three and middle-aged woman. Fitness AC (after children) and in your 40’s are night and day compared to say, a 32-year old nulliparous (never had children) body. This isn’t to say you can’t find a group class that won’t fit you. If you are looking for someone who can help, search this list. As for frequency, I try to do something daily. Recommendations for daily activity by the Centers for Disease Control call for at least 150 minutes of moderate aerobic activity a week and strength training at least 2 days a week that targets all muscle groups. The walking, dancing and yoga or Pilates I do fulfills that, as well as the running around and stair climbing I do every day to care for my family. I’ve gotten 10,000 steps before just caring for my children, especially when they were younger. Find Individualized CDC Daily Activity Recommendations Overall, I do about 30’ daily of either functional activity (all that heavy lifting and moving you do during housecleaning and childcare counts! ), walking, Yoga, and/or Pilates and dance – which usually turns out to be a combination of all of these. As a women’s health physical therapist, I do have the tiny advantage of knowing how to individualize fitness & exercise routines to meet my needs, but I’m happy to see or refer you to someone who can help if you are a mom in need of some postpartum recovery (even if you are 10 or 30 years postpartum a pelvic PT can do a GREAT DEAL to help you get your body back!). Simply contact me via the form at the bottom of this post if you need help or search the list above. I eat healthy. You may be relieved to learn I don’t follow fad diets. My food rules are simple. I eat an anti-inflammatory diet full of whole, organic non-genetically modififed foods. That’s it. I also don’t snack between meals. Here are some free resources to help get your started. I don’t use or buy chemical cleaners, fragrances, or dyes in household prodcuts. I used to have terrible allergies until I took this one little step of eliminating endocrine disrupters. After which, my allergies went away. I do use essential oils to clean (Thieves by Young Living is my favorite, but Do Terra oils are also fantastic) simply by mixing a few drops of them in a plain spray bottle with water. Here is a list of EWG’s top endocrine disrupters to eliminate from your household. Doing this is an easy step and saves me a lot of money and time. Finally, I try my best to make sure my karma and dharma are aligned. What in the heck does this mean? Karma means the yoga of action, and dharma means dedicating yourself to action that is bigger than yourself, or pursuing your duty. When I take these ancient yogic principles and apply them to my life, aligning karma and dharma mean this: In order to have a purpose-driven life, my core values should align with my actions. I evaluate my karma and dharma “alignment” on a regular basis – so I can make sure the plan I have enacted in my life is not simply a “good plan,” but it is the “best plan” for me, my self-care, and my family’s health and wellbeing. I hope sharing my routine for self-care will help you in your journey! I’d LOVE to hear what you for self-care as a woman and mother, please leave your comments below! And don’t hesitate to reach out if you are need help getting your mind and body back after baby. 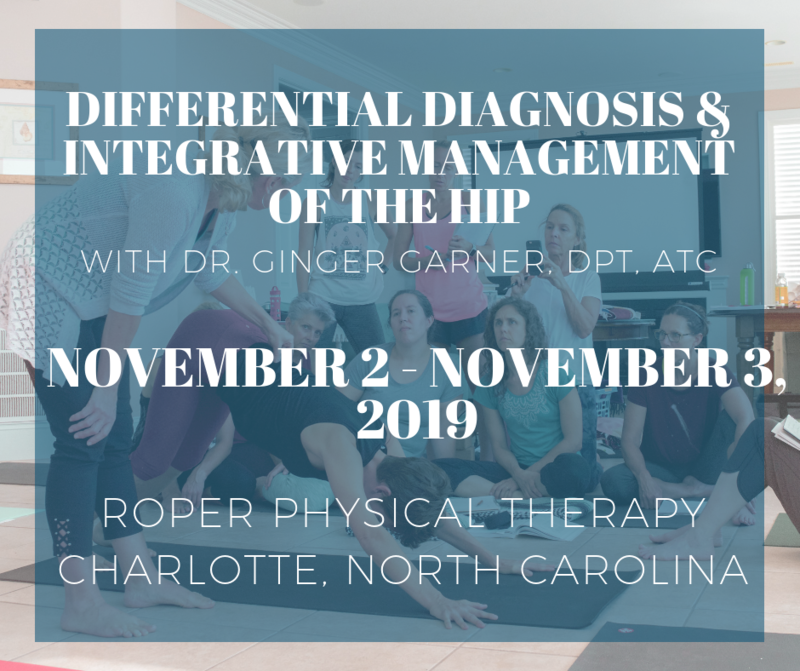 If you aren’t nearby, I have colleagues doing great work in physical therapy all over the globe, they’ll be happy to help!